We had the chance to interview one of our friends Zack Ignazio from 4D Gallery about their plans for 2018! Zack started 4D Gallery back in 2016 and has grown to new heights since then!4D Gallery is a creative arts company based out of upstate New York. 4D is not just clothing but massage therapy as well! Ignazio’s partner Kathleen Goutos is certified in massage therapy and provides her services to anyone who needs them. From clothing to massage therapy, 4D Gallery does not have any limitations. Please watch the interview below to find out what the company has been up to! 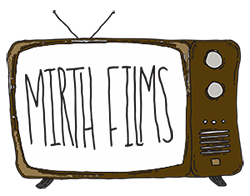 If you enjoyed this video please do not forget to subscribe to Mirth Films on Youtube!